Last year on Mystery Playground, J.A. Jance joined us for a Drinks with Reads post and paired her book Dance of the Bones with Prickly Pear Juice. 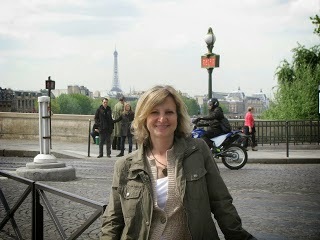 Today Kerry Hammond is reviewing the author’s latest book in the Brady series. 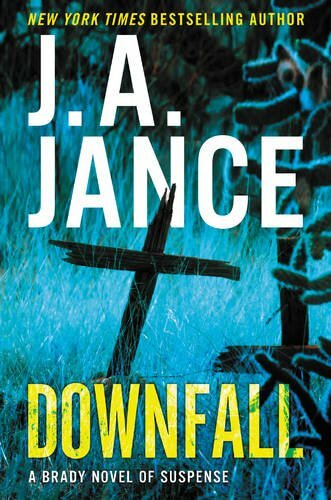 Downfall by J.A. Jance is the 17th book in the Joanna Brady series. It releases in Hardcover on September 6, 2016, by William Morrow. I enjoy Jance’s J.P. Beaumont series but have not read any of the Brady books. I chose to review Downfall so that I could expand my reading of the author’s work, which is quite extensive. Cochise County, Arizona’s Sheriff Joanna Brady has quite a bit on her plate. Her daughter is going off to college, her five-year-old is off to Kindergarten, and she’s pregnant with her third child. At the same time, she’s preparing to attend the funeral of her mother and step-father. When a case lands in her lap, she jumps at the chance to work it in order to take her mind off of her grieving. The bodies of two women have been found at the base of a peak the locals call Geronimo. The two women have no immediately clear connection and the police must begin the investigation into each in order to try and locate the link. Brady unravels the clues to the mystery and the reader is even treated to a bit of a twist along the way. The characters are compelling, and I think their development is a large part of what keep readers coming back for more. Even jumping in at book 17, I was drawn into the events going on at the edge of the police investigation, in the personal lives of Sheriff Brady and her family. With this series, you couldn’t go wrong if you started at book one and read all the way through. If you jump in at the end, you can still follow along, but you may discover character information that is better learned chronologically. But Jance is a skilled storyteller, so you can’t go wrong either way you choose.